There is an evident fire hazard involved with in-door Las Vegas marijuana cultivators that The National Fire Protection Association made clear at the Mandalay Bay Convention Center last week. The largest message the association sent was that keeping a line of communication open with local fire officials will save lives. 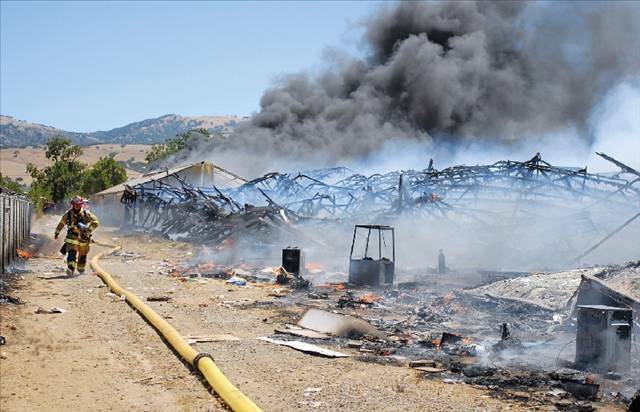 With Las Vegas marijuana greenhouses, there are a few significant fire concerns owners and management need to understand. Due to the potential of break-ins and robberies at cultivation centers, many owners have implemented incredibly elaborate security that can make it challenging even for the fire department to quickly gain access in the case of an emergency. Speaking with local fire officials and creating a plan with them on how they can quickly access a cultivation facility can both save lines and help mitigate financial loss as well. 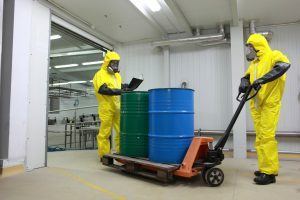 The other major concern for Las Vegas marijuana cultivators are the wide variety of chemicals that are being used within the enclosed space of a greenhouse. Cultivators can use all sorts of fertilizers and other chemicals for the plants that have the ability of becoming ignited relatively easily. The wide variety of products being made with cannabis, such as the concentrates for vaping oils or shatter for dabbing, can utilize very flammable chemicals that can ignite explosively. For firefighters the challenge is not knowing the chemicals that one in-door cultivator is utilizing versus another. There are such a wide variety of chemicals being used by Las Vegas marijuana growers that the only way for the fire department to be able to act quickly is for each cultivator to inform the fire department of the chemicals they are using and make sure they keep officials updated. Massachusetts fire professionals represented a significant portion of The National Fire Protections Association at the Mandalay Bay convention. Massachusetts has been a medical marijuana state for years and plans on starting the commercial sale of adult-use cannabis on July 1st although no licenses have actually been issued as of yet to any dispensaries for adult-use. Regardless, firefighters in the Bay State have become familiar with the most efficient ways of combating these cannabis greenhouse fires. One particular fire protection engineer from Massachusetts, Jacob Nunnemacher, spoke at the conference talking about common greenhouse fire hazards such as carbon dioxide, molds and entanglement hazards. Some cultivators at the show inquired if there could be adjustments in the fire department’s policies that could otherwise affect grows negatively, such as the flashing lights associated with fire alarm signs. The National Fire Protection Association was not subtle about its message.